For more information about CREC, please email info@crec76.org. Monica Appleby, Chair. Monica has been a member of the Clinch River Educational Center since its beginnings on the Clinch River in Dungannon, Virginia. Currently, she tests the water quality there with Anna Hess and Frankie Taylor. Monica has enjoyed the company of women and a few men in the CREC "flow" of projects and organizations. Lynda Warner, Vice-Chair. Growing up in West Virginia, Lynda was unaware of the specialness of Appalachian Region --- you don't see the forest for the trees, so to speak. It took her stint at West Virginia University to realize the uniqueness of the region and the numerous ways it had been exploited. Lynda committed herself to empowering the region by working with individuals and communities, a passion she fulfills through CREC and through private practice at the Abingdon Center for Psychiatry Counseling and Education. Anne Leibig, Treasurer. Anne brings to the table her experience of living and working in the Appalachian mountains, creating and sustaining community frameworks for full living, with an emphasis on women's participation. 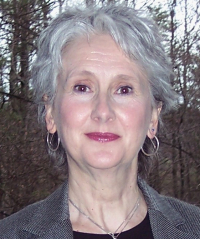 She has retired from a 25 year Gestalt Therapy practice and is now writing and training through the Appalachian Gestalt Training Institute. Anna Hess, Secretary. 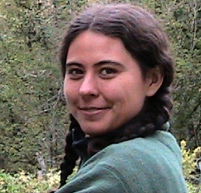 Anna is an artist and biologist whose current passions are homesteading, writing, and photography. She and her husband sell innovative chicken waterers to people across the United States and around the world, a microbusiness which she envisions is a model for sustainable industry in the economically depressed Appalachian region. 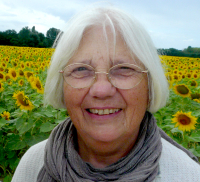 Read about her experiments with permaculture on her homesteading blog. Jaculyn Hanrahan. Jaculyn has spent the last three decades empowering the local community to speak truth to power while protecting central Appalachia's environment. 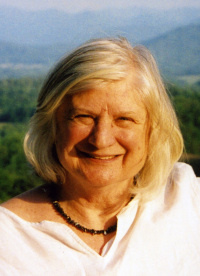 Her religious community missioned her to Hurley, Virginia, in 1982, where Jaculyn learned the importance of community organizing mountain style, and she continued her education more formally through the law school at the University of Virginia. Jaculyn then spent twelve years handling civil cases for low income people in the coalfields through Client Centered Legal Services, and another five years partnering with regional non-profits as Director of the Appalachian Office of Justice and Peace. When the Catholic Diocese of Richmond closed the Appalachian Office of Justice and Peace in 2009, Jaculyn and her coworker founded The Appalachian Faith and Ecology Center to continue their work.